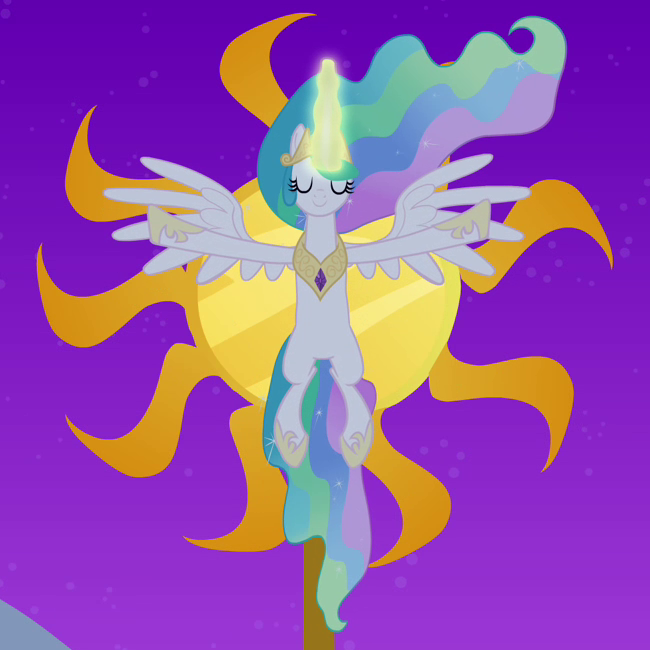 Every year, at dawn on the longest day, Princess Celestia raises the sun publically with a festival as celebration. Once upon a time, this was to reassure her people, and remind them of her victory over Nightmare Moon, but no longer. These days, it is a happy and grateful reminder not only to the ponies of Equestria but to Celestia herself that Princess Luna returned. It's also an oppurtunity to party all night with friends and watch the sun come up the next day. This year the Summer Sun Celebration will be once again held in the Hub of Ponyville, on the 21st. There will be free food and drinks, happily provided by the townsfolk of Ponyville themselves. Princess Celestia, Princess Luna, and also Princess Twilight all hope to see you there. Ponies far and wide, the Summer Sun Celebration is fast approaching and this year the Town of Ponyville will be holding a festival to coincide with the celebration of our beloved Princess! On Friday July 26th, the town will be hosting a day long festival that will end with a community potluck, party and fireworks on the lake shore! The whole town is invited and we expect to see you all there! Bring a dish and a happy smile becuase it's the one event you do NOT want to miss! The ceremonial rising of the sun will be held in Canterlot that morning (Noon for the sake of our players) as is customary. Make sure you're not late!